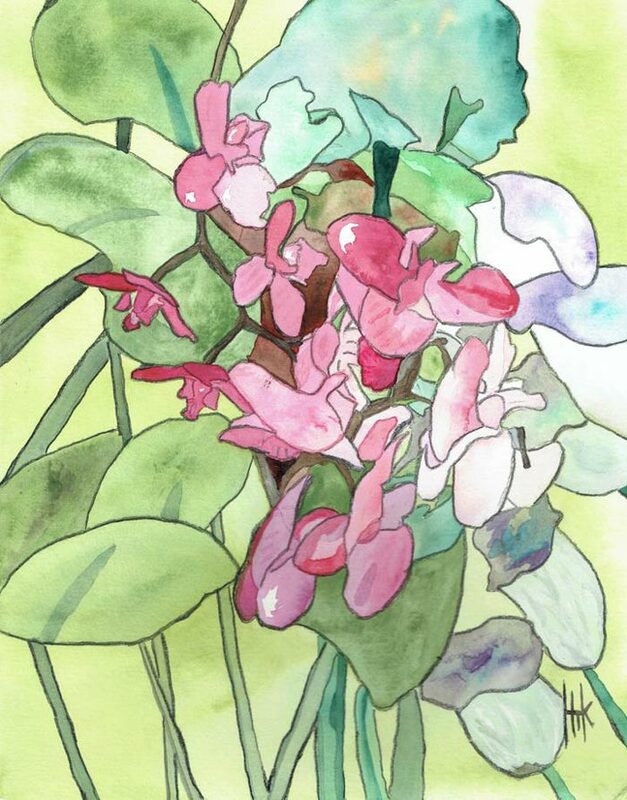 Meet inspirational watercolor artist Heather Kadlec Shack, HMK Watercolors, during an open house on Saturday, May 4, 1:00-5:00 p.m.
Heather became an artist only after suffering a debilitating stroke. She learned to paint left-handed after losing use of her dominant right hand. Painting is not only a passion for Heather, but an outlet to express herself in ways she cannot verbally or through writing. 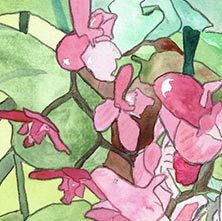 Heather will share her latest original watercolor paintings, limited edition prints and greeting cards.